When most people think of chin augmentation, they probably envision a surgical procedure, and rightly so. Chin augmentation can be performed surgically, However, for those who do not wish to undergo an invasive surgical procedure, excellent jaw augmentation results can also be achieved through the use of injectable dermal fillers , Focusing on precise areas of the chin in order to increase the length, width or projection of the chin. Giving you instant results! Without surgery, fillers such as Juvéderm & Restylane can soften harsh angles and injectable toxins such as Botox can relax muscles to smooth contours. Hyaluronic acid fillers are also used to detract attention away from a dimpled or “cleft” chin. When volumizing the face, you want to create natural curves so that the end result is appropriate. Savannah is amazing! My results are always on point! Gina’s customer service is top notch! If great skin is what you’re looking for —these ladies are the ticket! Excellent service, the people are very knowledgeable and polite. This place is the best and the prices are very affordable. I recommend this place to anyone who wants work done right and with the best product on the market. But don’t take my word for it, go and see for yourself. I love love LOVE Key Life Med Spa! They’re attentive to all my needs from the time I walk thru the door to the time I check out. I’m always greeted with friendly smiles and a bottle of water. I never have to wait. If I’m there early, they usually take me in early for my treatment. 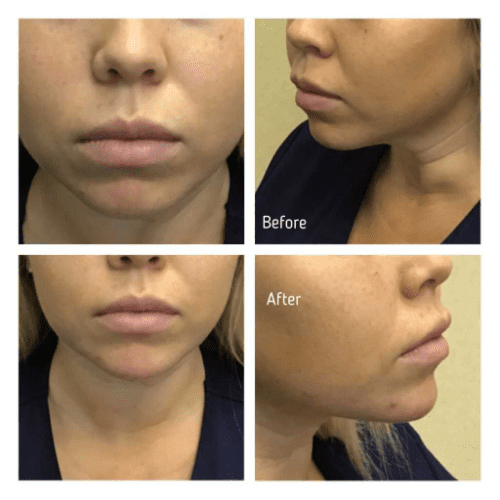 I’ve had Botox before, but Savannah (RN) at KeyLife makes the experience fun and practically painless. My results are nothing less than incredible. I trust them so much that I’ll be back to KeyLife for Kybella and any other cosmetic treatments they offer that can help me look younger. I can not recommend them enough! If you’re looking for a new MedSpa, give KeyLife a call. You won’t be disappointed, and you’ll look amazing!